In study; It was aimed to determine the nutritional content, antioxidant and antimicrobial activities of Terfezia claveryi Chatin. T. claveryi contained 89.59% dry matter, 0.04% crude ash, 0.03% crude oil, 15.31% crude protein, 83.47% organic matter, 399.98% kcal energy and 10.40% moisture. Macro and micro element contents were determined as 52.5 mg/kg K, 560 mg/kg Na, 2.76 mg/kg Fe, 0.37 mg/kg Zn and 0.58 mg/kg Ca. The total antioxidant level of T. claveryi was 1.18 μmol/l and the total oxidant level was 3.45 μmol/l. Also, the DNA protective activity of the T. claveryi has been identified using pBR322 plasmid DNA, and DNA protective activity was determined to be absent. As a result of the antimicrobial study of T. claveryi, microorganisms have been shown to be effective even at low concentrations. In particular, it has been shown to exhibit the highest antimicrobial activity against P. aeruginosa. In conclusion, it is determined that T. claveryi is rich in nutrient content, element levels are not toxic and it is a medically important food source. Bu çalışmada; Terfezia claveryi Chatin’nin besinsel içeriği, antioksidan ve antimikrobiyal aktivitelerinin belirlenmesi amaçlanmıştır. T. claveryi’de % 89.59 kuru madde, % 0.04 ham kül, % 0.03 ham yağ, % 15.31 ham protein, % 83.47 organik madde, % 399.98 kcal enerji ve % 10.40 nem saptanmıştır. Makro ve mikro element miktarları ise 52.5 mg/kg K, 560 mg/kg Na, 2.76 mg/kg Fe, 0.37 mg/kg Zn, 0.58 mg/kg Ca olarak belirlenmiştir. T. claveryi’nin total antioksidan seviyesi 1.18 µmol/l ve total oksidan seviyesi 3.45 µmol/l olarak tespit edilmiştir. Ayrıca; mantarın DNA koruyucu aktivitesi pBR322 plazmit DNA’sı kullanılarak belirlenmeye çalışılmış ve DNA koruyucu aktivitesinin olmadığı tespit edilmiştir. T. claveryi’nin antimikrobiyal çalışması sonucunda mikroorganizmalara düşük konsantrasyonlarda bile etki gösterdiği görülmüştür. Özellikle, P.aeruginosa’ya karşı en yüksek antimikrobiyal etki gösterdiği belirlenmiştir. Sonuç olarak T. claveryi’nin besin içerikleri bakımından zengin olması, element düzeylerinin toksik etki taşımadığı ve tıbbi açıdan önemli bir besin kaynağı olduğu belirlenmiştir. Ahmed, A., Mohammed, M., Hami, M. 1981. "Libyan truffles "Terfezia boudieri Chatin" chemical composition and toxicity", Journal of Food Science, 46, 927-929. Akyüz, M. 2013. "Nutritive value, flavonoid content and radical scavenging activity of the truffle (Terfezia boudieri Chatin)", Journal of Soil Science and Plant Nutrition, 13, 143-151. Aldebasi, Y.H., Aly, S.M., Qureshi, M.A., Khadri, H. 2013. "Novel antibacterial activity of Terfizia claveryi aqueous extract against clinical isolates of corneal ulcer", African Journal of Biotechnology, 12, 6340-6346. Al-Laith, A.A.A. 2010. "Antioxidant components and antioxidant/antiradical activities of desert truffle (Tirmania nivea) from various Middle Eastern origins", Journal of Food Composition and Analysis, 23, 15-22. Al-Naama, N.M., Ewaze, J.O., Nema, J.H. 1988. "Chemical constituents of Iraqi truffles", Iraqi Journal of Agricultural Sciences, 6, 51–56. Al-Ruqaie, I.M. 2002. ‘’Effect of different treatment processes and preservation methods on the quality of truffles. I. Conventional methods (drying/freezing), Pakistan Journal of Biological Sciences, 5, 1088-1093. Al‐Ruqaie, I.M. 2006. "Effect of different treatment processes and preservation methods on the quality of truffles: I. Conventional methods (drying/freezing)", Journal of Food Processing and Preservation, 30, 335-351. AOAC. 1990. Official methods of analysis of association of the official analytical chemists. Eds. : Helrich K. Published by the Association of Official Analytical Chemists Inc. Wilson Boulevard Arlington, Virginia 22201 USA; Fifteenth Edition, p. 1213. Bokhary, H.A., Parvez, S., 1993. "Chemical composition of desert truffles Terfezia claveryi", Journal of Food Composition and Analysis, 6, 285–293. Breene, W.M., 1990. "Nutritional and medicinal value of speciality mushrooms", Journal of Food Protection, 53 (10), 883-894. Cansever, T.İ. 2014. "Terfezia olbiensis ve Terfezia claveryi mantarlarının kimyasal bileşenleri ve besinsel özelliklerinin araştırılması", Yüksek Lisans Tezi, Muğla Sıtkı Koçman Üniversitesi Fen Bilimleri Enstitüsü, Kimya Anabilim Dalı, Muğla, 63 s. Dabbour I.R., Takruri H.R., 2002. "Protein quality of four types of edible mushrooms found in Jordan", Plant Foods for Human Nutrition, 57: 1-11. Erel, O. 2004. "A novel automated direct measurement method for total antioxidant capacity using a new generation, more stable ABTS radical cation", Clinical Biochemistry, Volume 37, Issue 4, April 2004, Pages 277-285. Erel, O. 2005. "A new automated colorimetric method for measuring total oxidant status", Clinical Biochemistry, Volume 38, Issue 12, December 2005, Pages 1103-1111. Gunde-Cimerman, N., 1999. "Medicinal Value of the Genus Pleurotus (Fr.) P. Karst. (Agaricales S.I., Basidiomycetes)", International Journal of Medicinal Mushroom, 1, 69-80. Gutiérrez, A., Morte, A., Honrubia, M. 2003. "Morphological characterization of the mycorrhiza formed by Helianthemum almeriense Pau with Terfezia claveryi Chatin and Picoa lefebvrei (Pat.) Maire", Mycorrhiza, 13, 299-307. Hashem, A.R., Al-Obaid, A.M. 1996. "Mineral composition of soil and wild desert truffies in Saudi Arabia", Journal of King Saud University, 8, 5-10. Hussain, G., Al-Ruqaie, I.M. 1999. "Occurrence, chemical composition, and nutritional value of truffles: an overview", Pakistan Journal of Biological Sciences, 2, 510-514. Kıvrak, İ., 2015. "Analytical methods applied to assess chemical composition, nutritional value and in vitro bioactivities of Terfezia olbiensis and Terfezia claveryi from Turkey", Food Analytical Methods, 8, 1279-1293. Loizides, M., Hobart, C., Konstandinides, G. And Yiangou, Y., 2012. "desert truffles: the mysterious jewels of antiquity", Field Mycology, 17-21. Mattila, P., Suonpaa, K., Piironen, V., 2000. "Functional properties of edible mushrooms", Nutrition, 16 (7-8), 694-696. Misaki, A., Kakuta, M., 1995. "Kikurage (Tree-ear) and Shirokikurage (White jellyleaf): Auricularia auricula-judae and Tremella fuciformis. ", Food Review International, 11(1), 211- 218. Morales G, Paredes A, Sierra P, Loyola LA., 2008. "Antimicrobial activity of three Baccharis species used in the traditional medicine of northern Chile", Molecules, 13:790–4. Murcia, M. A., Martınez-Tome, M., Jimenez, A. M., Vera, A. M., Honrubia, M., Parras, P., 2002. "Antioxidant activity of edible fungi (truffles and mushrooms): Losses during industrial processing", Journal of Food Protection, 65, 1614-1622. Murcia, M.A., Martınez-Tome, M., Vera, A., Morte, A., Gutierrez, A., Honrubia, M., 2003. "Effect of industrial processing on desert truffles Terfezia claveryi Chatin and Picoa juniperi Vittadini: Proximate composition and fatty acids", Journal of the Science of Food and Agriculture, 83, 535-541. Neggaz, S., Fortas, Z., Chenni, M., El Abed, D., Ramli, B., Kambouche, N., 2015. 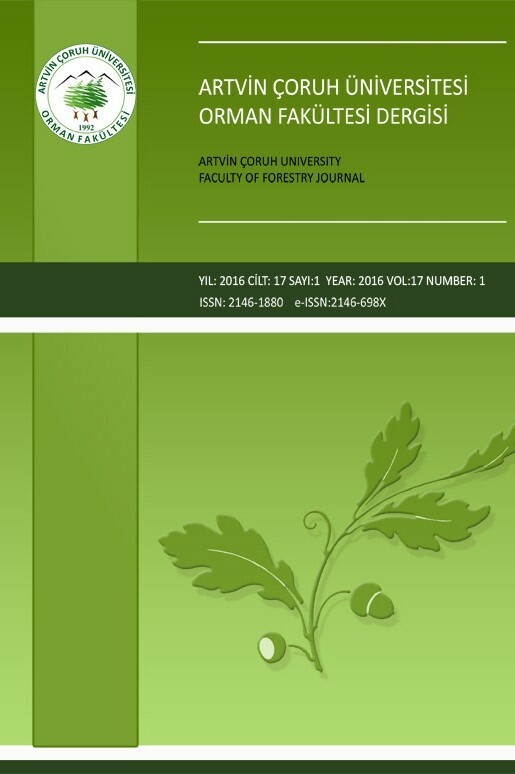 "In vitro evaluation of antioxidant, antibacterial and antifungal activities of Terfezia claveryi Chatin", Pharmacognosıe, DOI 10.1007/s10298-015-0993-4. Özyürek, M., Bener, M., Güçlü, K., Apak, R. 2014. "Antioxidant/antiradical properties of microwave-assisted extracts of three wild edible mushrooms", Food Chemistry, 157, 323-331. Saddıq, A.A., and Danial, E.N, 2012. "Assessment of Phenolic Content, Free Radical-Scavenging Capacity and Antimicrobial Activities of Truffle clavery", Vol 19, No. 9, 403-422. Sanmee, R., Dell, B., Lumyong, P., Izumori, K., Lumyong, S., 2003. "Nutritive value of popular wild edible mushrooms from Northern Thailand", Food Chemistry, 82, 527-532. Sawaya, W.N., Al-Shalhat, A., Al-Sogair, A., Mohammad, M. 1985. "Chemical composition and nutritive value of truffles of Saudi Arabia", Journal of Food Science, 50, 450-453. Şahin, A., 2012. "Konya yöresinde yetişen Terfezia türleri ve etnomikolojik özellikleri", Yüksek Lisans Tezi, Selçuk Üniversitesi Fen Bilimleri Enstitüsü, Biyoloji Anabilim Dalı, s 62. Konya. Tepe, B.,Degerli, S., Arslan, S., Malatyali, E., Sarikurkcu, C., 2011. "Determination of Chemical Profile, Antioxidant, DNA Damage Protection and Antiamobic Activities of Teucrium polium and Stachy siberica", Fitoterapia, 82, sayfa 237-246. Yildiz, A., Dündar, A., Acay, H., Akyüz, M., Yeşil, Ö.F., 2006. "Nutritive value of Pleurotus eryngii and Terfezia boudieri". The Scientific and Technological Research Council of Turkey, Agriculture, Forestry and Veterinary Sciences Research Grant Group (TOVAG), Project No: TUBITAK-TOVAG-1040108, 43 pp.